Wow! What a beautiful day it is today! It's supposed to be another hot one and like yesterday, I'm enjoying a bit of fresh air and the shade of the oak trees in our yard. Between attempting a little bit of gardening (more on this in a future post, along with an explanation of why I use the word attempt), I decided to grab a quick and somewhat healthy breakfast. I'm really trying to get into the habit of eating breakfast in the morning. Too often I'm running around in the morning, getting Gracie and I ready for school and work, with just enough time to get us out the door without being late. Then realizing too late, that I forgot to eat (or didn't allow time for eating). This then leads to me grabbing something very unhealthy to eat in the car on my way to work. With my hours dwindling down to just a day or two a week and summer vacation just a couple of weeks away, I hope it will be easier to get into the habit of sitting down to a decent breakfast each morning before running off to have some summer fun! 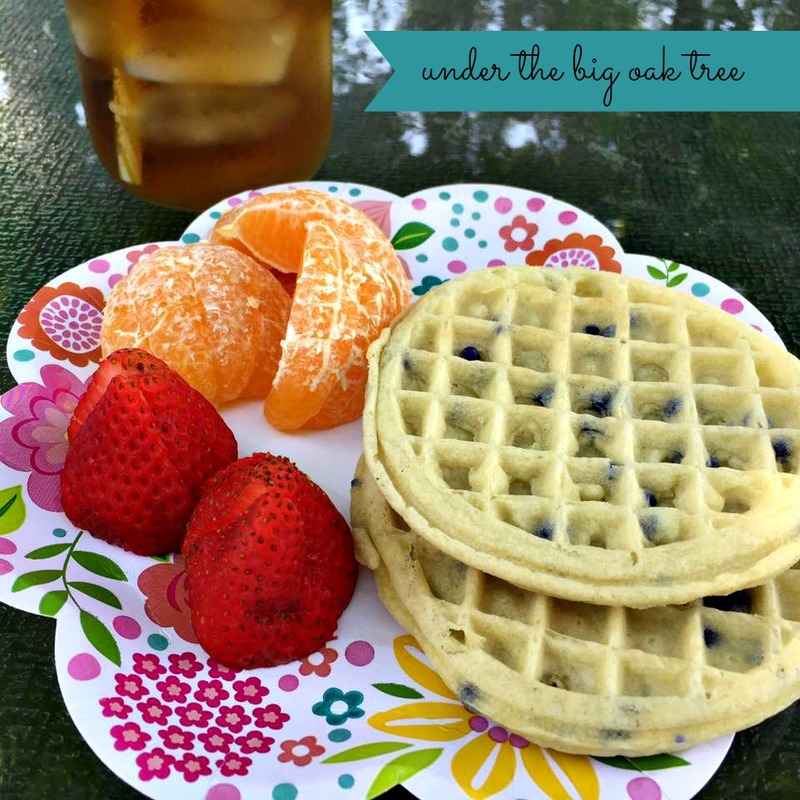 I think breakfast under the oaks will be a great way to start our summer mornings!